I’ll just come right out and admit one of my favorite ways to spend an evening after work is to sit with Mauri in our chairs with dinner trays on our laps and hunker down with a good movie. Of course not all movies available to us on Netflix are good. So we have an agreement that if we get into a movie and one of us finds it disturbing or boring or stupid, we’ll try a different one. Often what I find disturbing is language. So I was very happy to learn about VidAngel (HERE‘s where I learned about it) and quickly opened an account. Movies are only $1 and we can set filters that cut out the words or scenes we might find disturbing. Not always, but most often the bleeping isn’t distracting. They have a huge inventory of first-run movies and keep updating their offerings. The link I shared will give you the details. 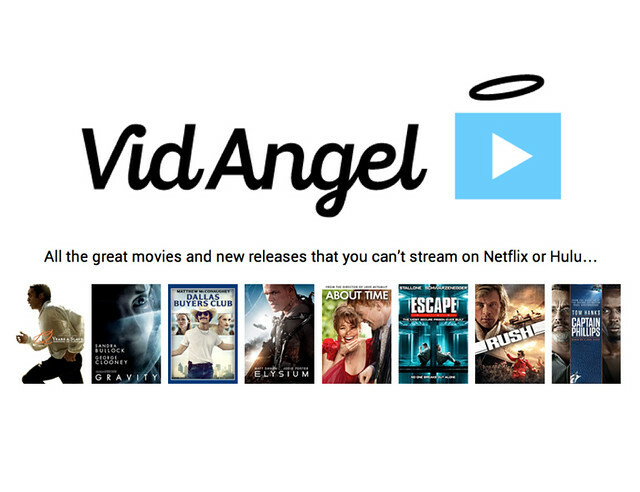 We’re impressed by the ease of watching VidAngel movies and consider it a great deal! This entry was posted in family matters, this and that. Bookmark the permalink.